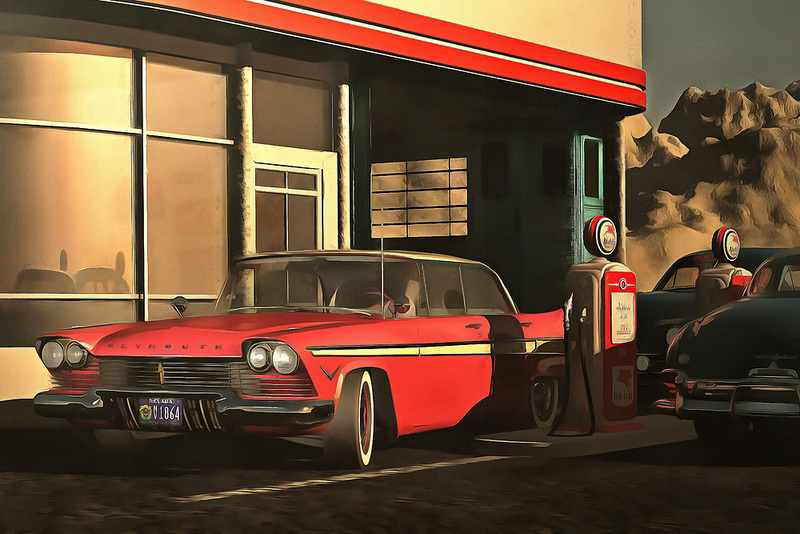 This image depicting an old-time Plymouth at a rural gas station brings to mind warm memories of warm summer nights. It brings to mind the music of Bruce Springsteen. It creates a powerful connection between ourselves and our memories. At the same time, the scene is simply an engaging one. It is a beautiful car on a beautiful early evening. The tank is almost full. The night is going to have something to offer. The sooner you get out on the road, the sooner you can experience it yourself. Available as wall art, t-shirts, or as interior products.